Whether you live in studio apartments in Glendale CA or another section of the Los Angeles area, the odds are that you are a LA Dodgers fan and look forward to the upcoming baseball season every year, which happens to be in full swing at the time of this writing. As a Dodgers fan, you’ve probably had some questions about the historical significance of this incredible team. 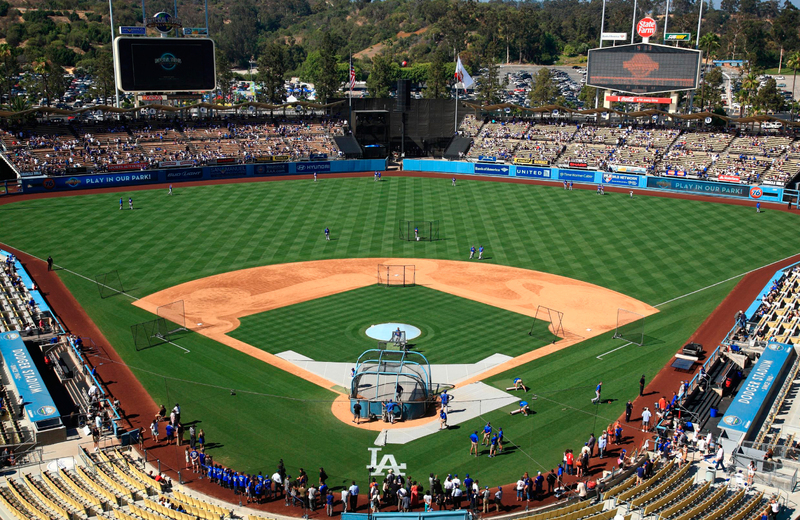 Today, we would like to share some of the most important historical facts about the Los Angeles Dodgers. As an example, did you know they actually got their start in Brooklyn, New York? That’s one of many interesting tidbits we’ll share with you today. So keep reading to discover more interesting historical facts that you might not have ever even heard of. You may know this team as the Los Angeles Dodgers, but they definitely didn’t start out that way. In fact, the team was first introduced to baseball in the late 1800s in Brooklyn, New York. In truth, this team has been around for 134 years as of 2018. So it should come as no shock to anyone that they’ve played under various names throughout their rich and storied history. As a matter of fact, this team has played under 11 different names (technically 9 since they were the Brooklyn Bridegrooms and the Brooklyn Superbas twice) during their 134 years. Their longest and most permanent stretch has been as the Los Angeles Dodgers, which is when they moved out of Brooklyn in 1958 to finally find their permanent home in LA. The current Los Angeles Dodgers played baseball as the following 11 teams during their amazing run: Brooklyn Atlantics in 1884, Brooklyn Grays in 1885-1887, Brooklyn Bridegrooms in 1888-1890, Brooklyn Grooms in 1891-1895, Brooklyn Bridegrooms in 1896-1898, Brooklyn Superbas in 1899-1910, Brooklyn Trolley Dodgers in 1911-1912, Brooklyn Superbas in 1913, Brooklyn Robins in 1914-1931, Brooklyn Dodgers in 1932-1957, and the Los Angeles Dodgers in 1958 through the present. The Dodgers also played in three different divisions throughout their baseball history, although they’ve been members of the National League for the wide majority of their tenure in baseball. They started out in the American Association in 1884-1889, the National League in 1890 through the present, and the National League West Division in 1969 through the present. Clearly, the Dodgers are a team with a long and exciting history. They’ve done some amazing things during their time in baseball. So stick around to learn more exciting information. How Many Times Has the Dodgers Franchise Been to the World Series? An interesting fact about this franchise is that they have actually been to the World Series 21 times, but they have only taken home the title on six different occasions. So there World Series track record isn’t the greatest, yet they are still considered one of the most exciting and successful teams in baseball. They first won the World Series in 1955 playing as the Brooklyn Dodgers against their crosstown rivals the New York Yankees. The World Series went seven games that year and the Dodgers pulled out the final win to take home the victory in exciting fashion. This is only one year prior to New York Yankees pitcher Don Larson pitching a perfect game in game five of the 1956 World Series, which was also against the Brooklyn Dodgers, but the Yankees took home the title that year. It was another exciting series that went seven games, but this time around the rival Yankees edged out the Dodgers to achieve victory. The Dodgers franchise went on to win the World Series five more times after 1955. All the rest of their World Series victories came as the Los Angeles Dodgers, which is exciting for fans in LA because their track record of World Series success is incredible. The current Los Angeles Dodgers franchise has made it to the World Series eight times and they took home the title five of those times. They won in 1959, 1963, 1965, 1981 and 1988. They most recently played in the World Series last season but lost in another exciting matchup against the Houston Astros that also went seven games. On top of all of the incredible World Series excitement, the Dodgers have also won the National League pennant 22 times throughout their time in baseball, they’ve produced 13 National League MVP award winners (two players won twice) and eight Dodgers pitchers have won a total of 12 Cy Young awards. They have also produced 18 Rookie of the Year award winners, which is truly an amazing feat to accomplish. As a team that has been playing baseball for over 130 years, it shouldn’t surprise anyone that they have many historical records and firsts. As an example, the Dodgers franchise was the first baseball team to win consecutive championships back to back in two different leagues in 1889 and 1890. The never actually played in the World Series in either of these seasons because baseball didn’t have one, but they were considered the champions both years nevertheless. In 1958 they became the first West Coast baseball team along with the San Francisco Giants. They were the first team to allow a female in the locker room in 1974 when Anita Martini was admitted to interview the players. This franchise was also the first one to employ a female lead trainer when they hired Sue Falsone in 2012. But their most historically significant achievement is they were the first major league baseball team to employ and start an African-American player in the 20th century when they signed Jackie Robinson in 1947. They helped break the color barrier in major league baseball and the game and the world has been much better off since this historical moment.